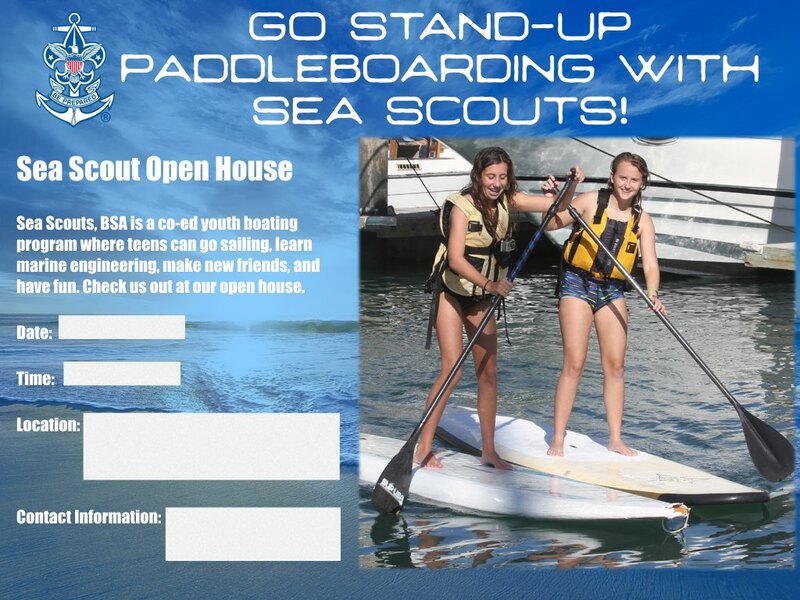 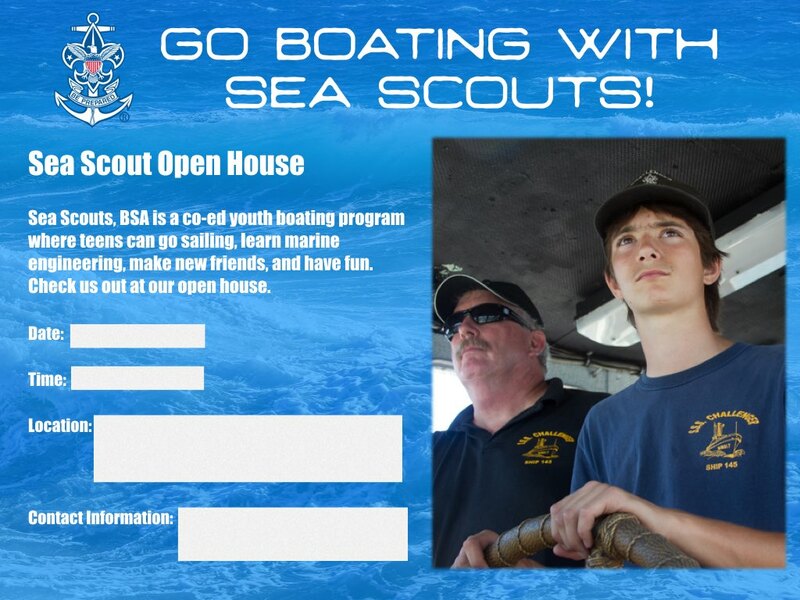 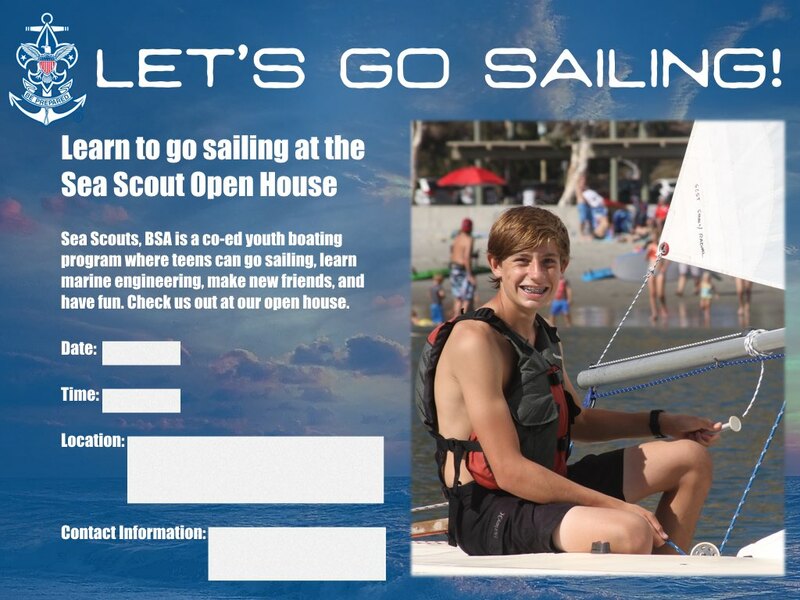 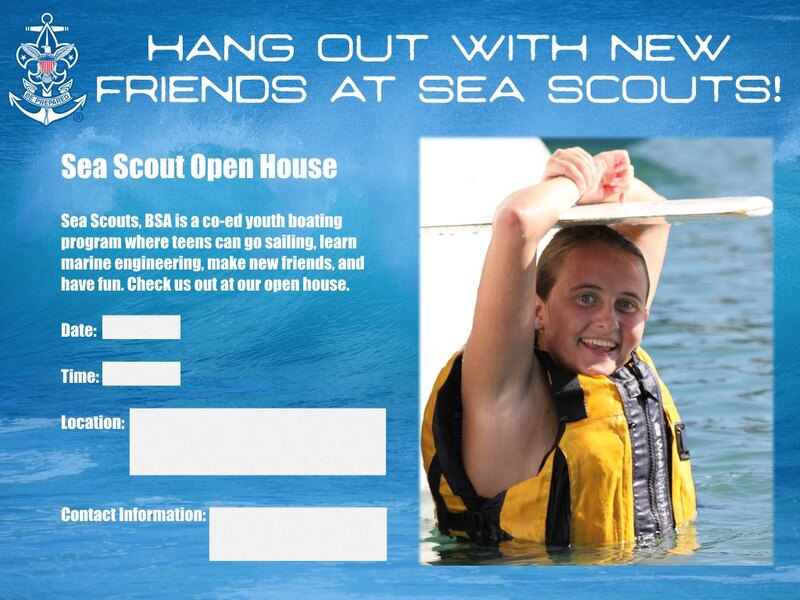 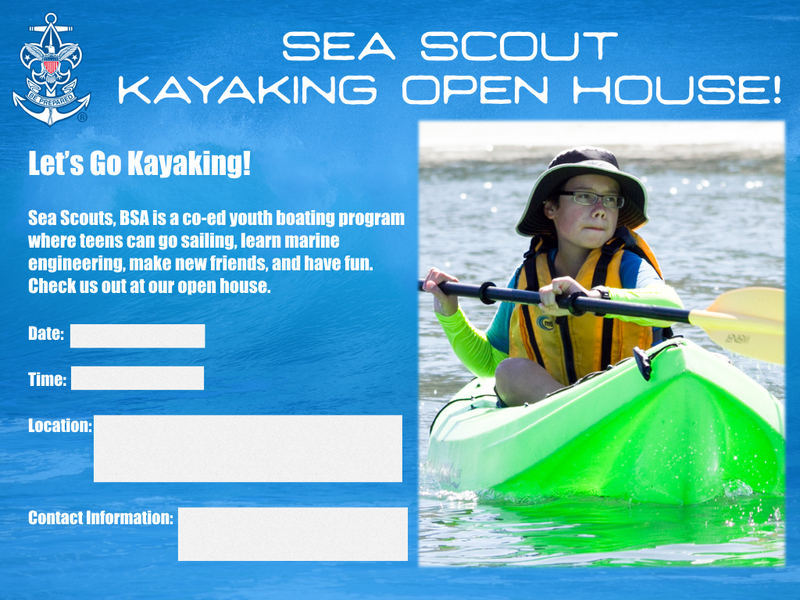 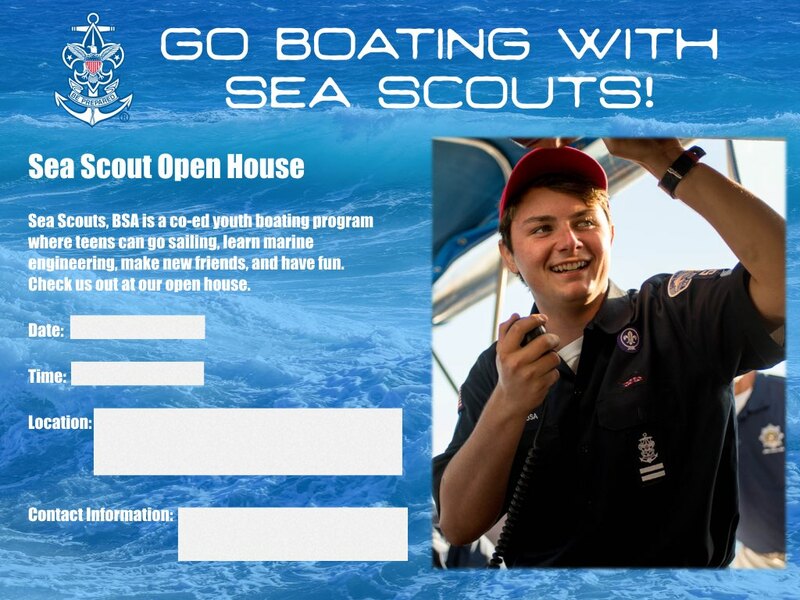 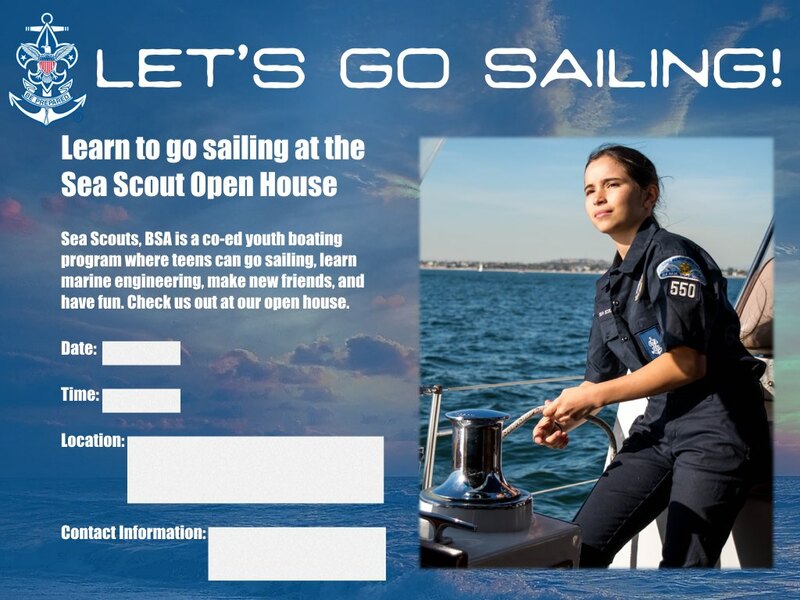 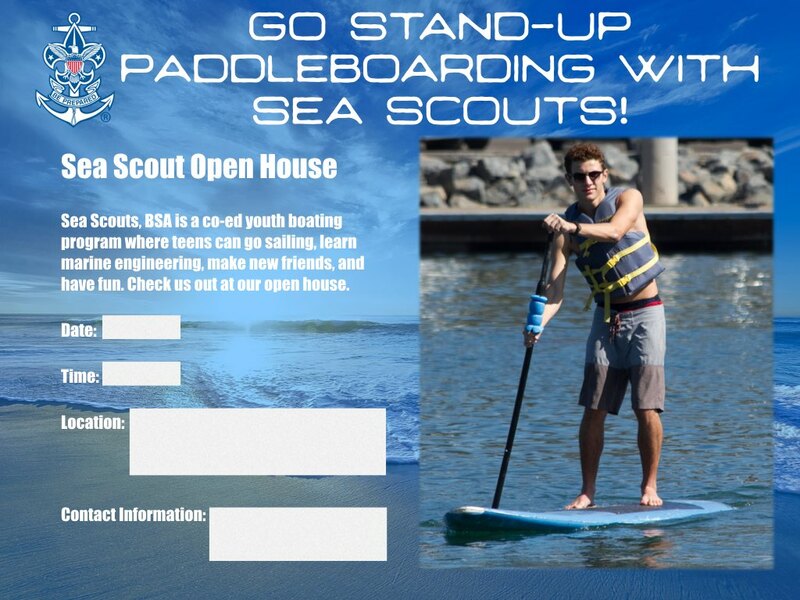 Sea Scout Ships can customize these downloadable Sea Scout flyers with local information for an open house. 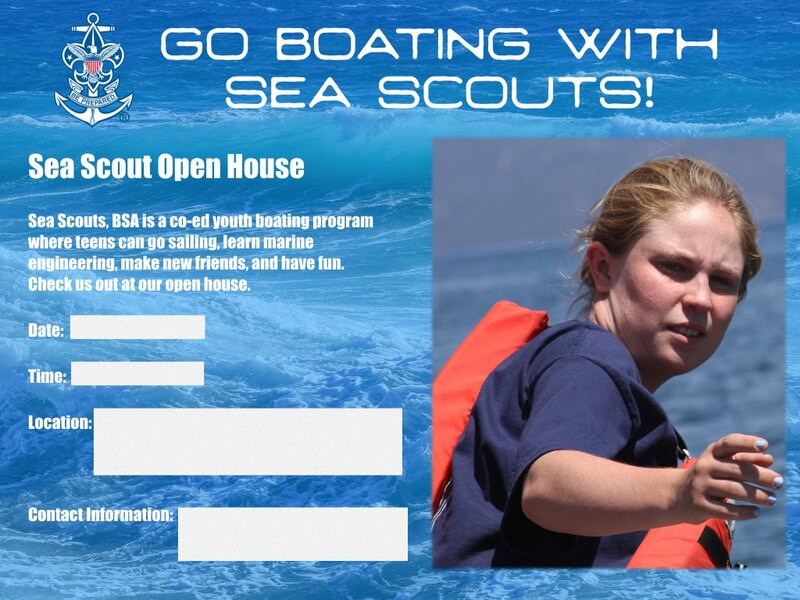 These flyers were designed to be submitted to school districts for approval in high school online newsletters. 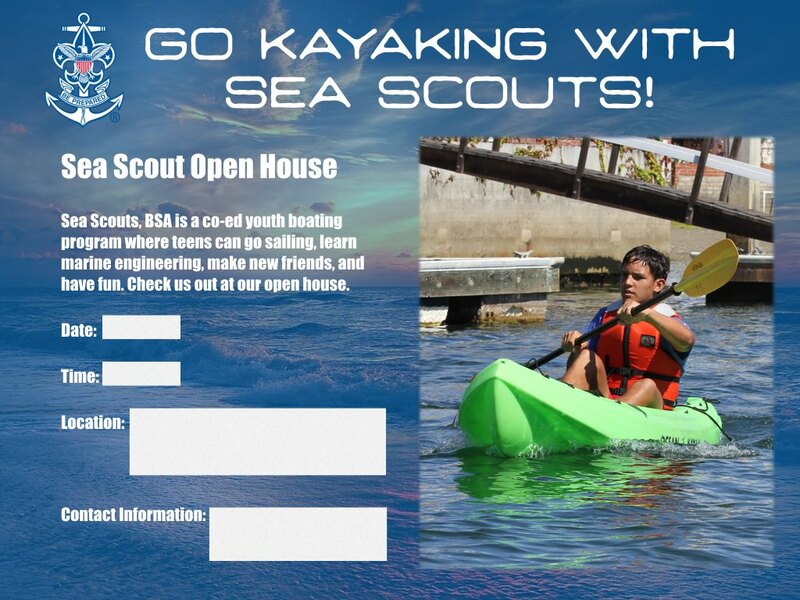 These flyers can also be printed for posting on community boards, such as in coffee shops or teen centers of libraries. 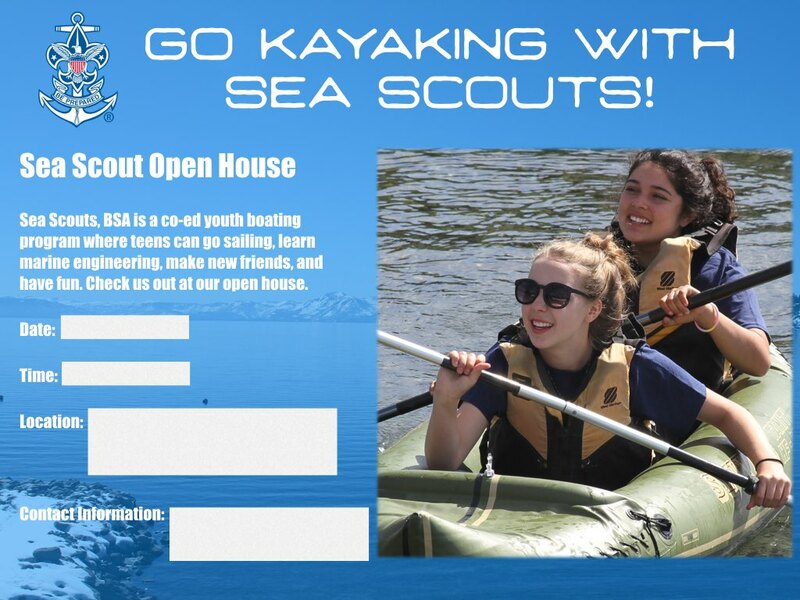 Please check the school board section of the district website in your service area for policies and procedures on how youth non-profits can submit flyers for the school newsletters. 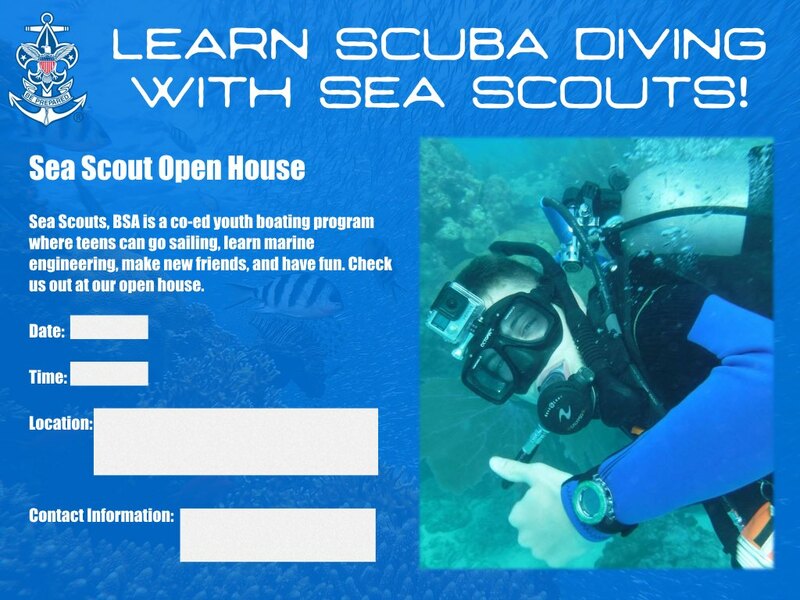 We will regularly update this page with more flyers.